With hundreds of marked trails through the countryside, many easy to reach thanks to the comprehensive train network, the Czech Republic is perfect for hikers. 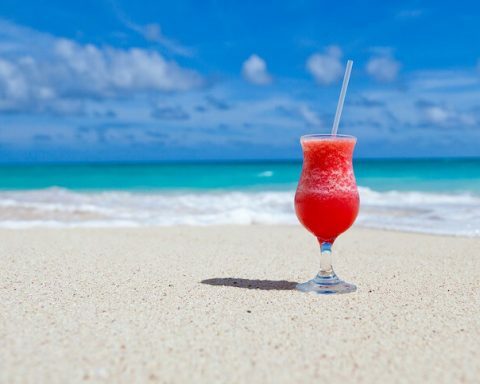 The country offers a new opportunity every weekend for those who love the outdoors. 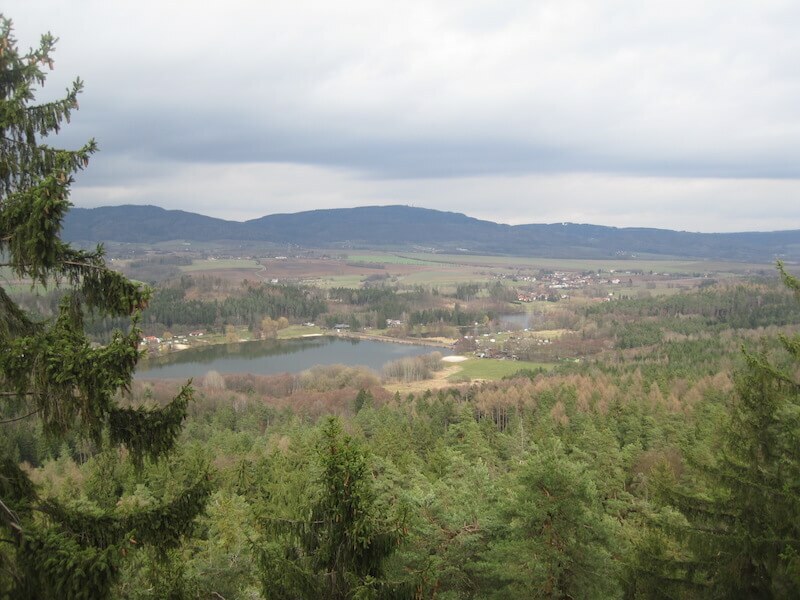 Yet, even with so many marvelous places for walks, the “Bohemian Paradise” which lies in the north of the country around the town of Turnov, stands out for its breathtaking scenery. 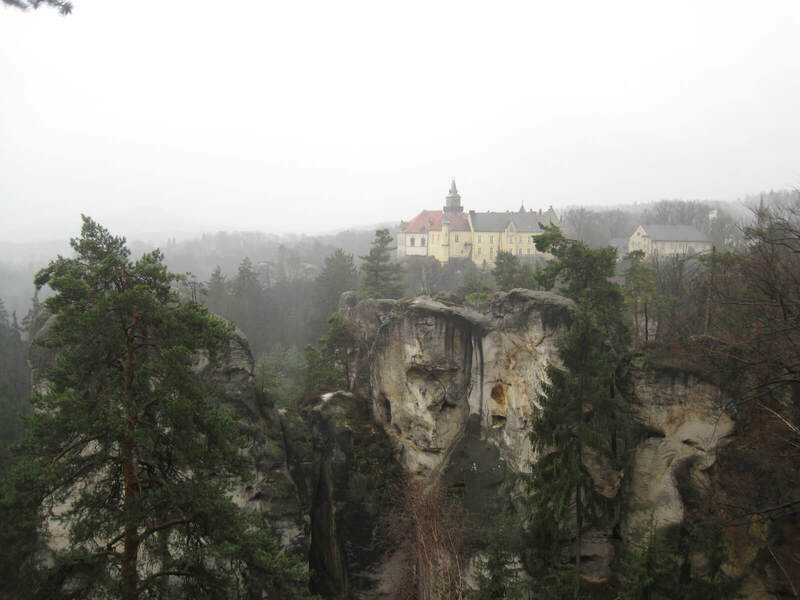 Known locally as the Český ráj, the area is characterized by sandstone rock formations, ruined castles, and beautiful wooded areas. 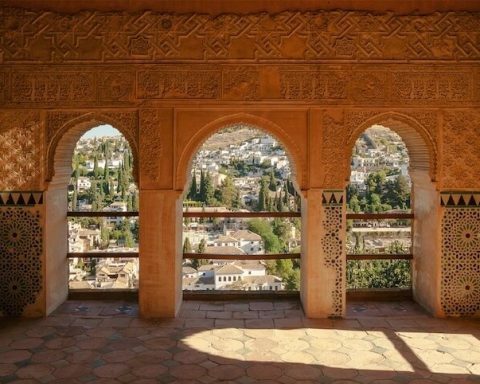 Such is the area’s significance that parts were declared a nature reserve as far back as 1933 and a protected landscape more than six decades ago, and the region is included on UNESCO’s tentative list of sites that could be nominated for World Heritage status. Being about 100km north-east of Prague and simple to get to by rail, the Bohemian Paradise can be visited on a day trip from the capital. However, for those with more time to spare, the small town of Turnov, historically a center for the processing of precious stones, is an excellent base for a few days. 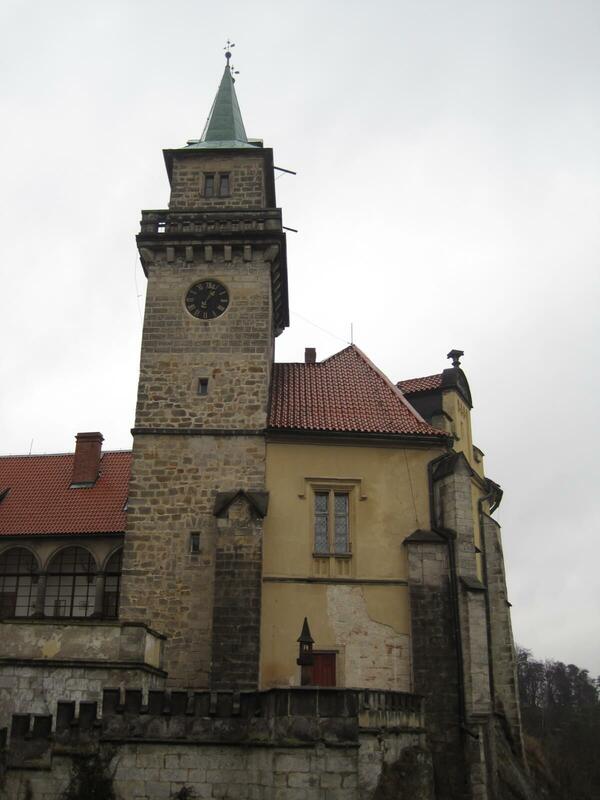 Turnov has an attractive main square (where there is a helpful tourist office supplying maps), a wealth of interesting churches, a synagogue, a Jewish cemetery and numerous Art Nouveau buildings, so it is a tourist destination in its own right. 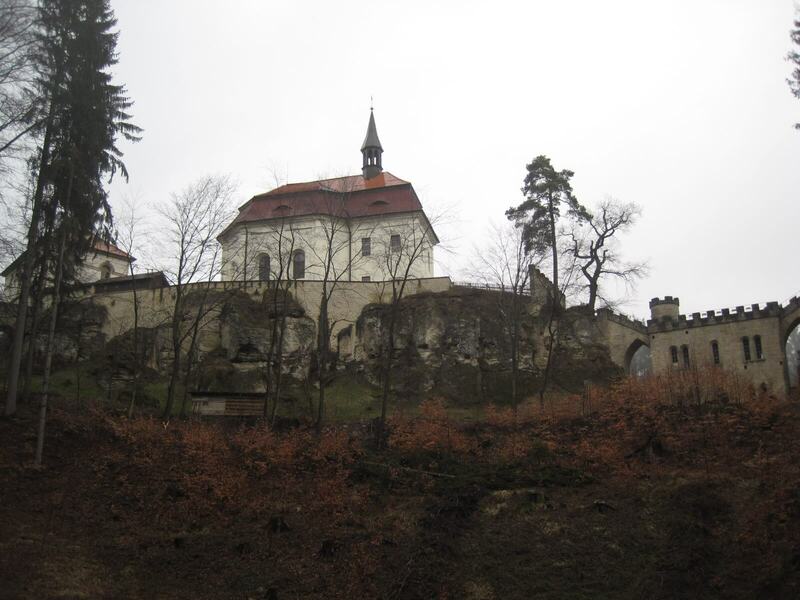 An excellent first walk from Turnov follows the green trail out of town through pine woods to Valdštejn Castle, which is approached by a stone bridge lined with statues. Lying about 3.5km east of Turnov, the castle traces its origins back to the 13th century and is open between April and October. 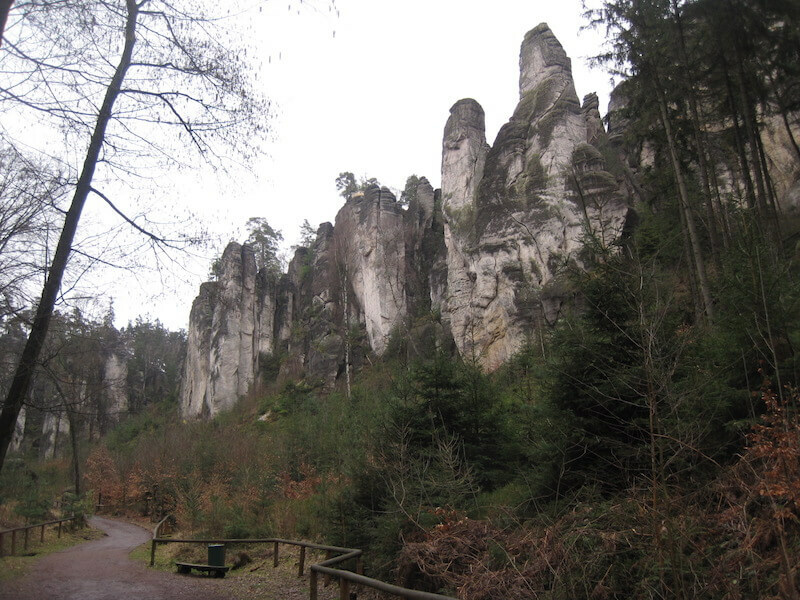 From here, the next 5km east on the yellow trail towards Hrubá Skála reveals the Český ráj in all its dramatic splendor. 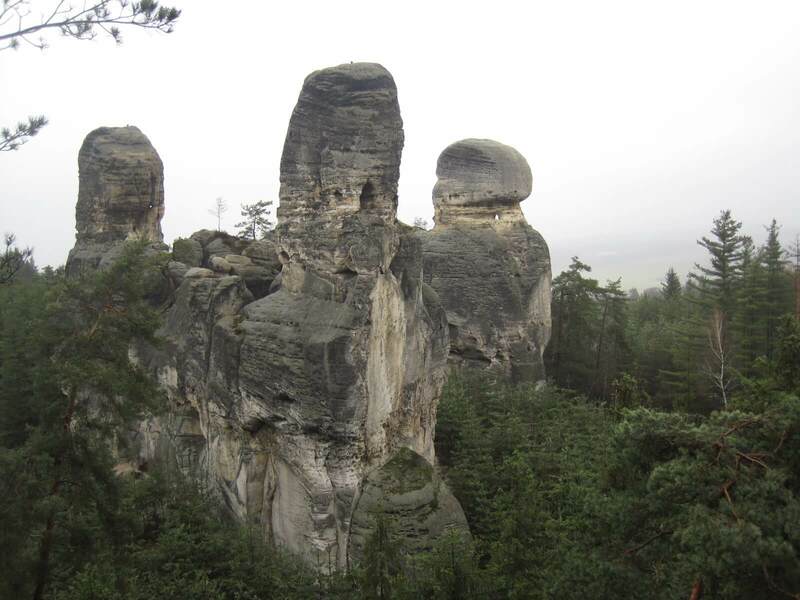 The rock towers in this area are as much as 50 meters or taller, and a scramble to the top of one that sits at the edge of a ridge offers views of others rising steeply out of wooded valleys. Also on show is the castle of Hrubá Skála, a beautiful 19th-century Gothic reconstruction that is a good place to pause for a mid-hike rest. From the courtyard, which is open to non-guests, nearby wooded areas give way, to the north, to rolling hills further into the distance. 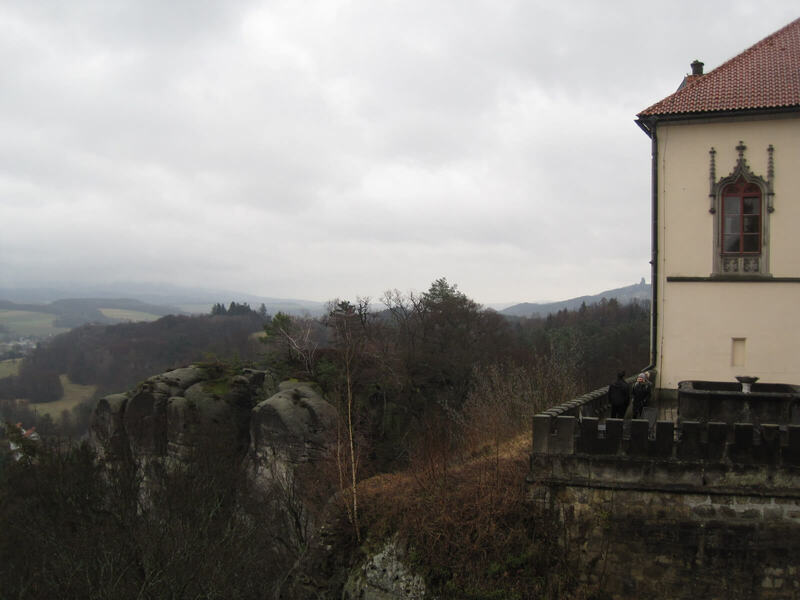 To the southeast, what is the Bohemian Paradise’s best-known landmark can be seen: Trosky Castle, which dates back to the 1300s and sits perilously atop two basalt rock towers. 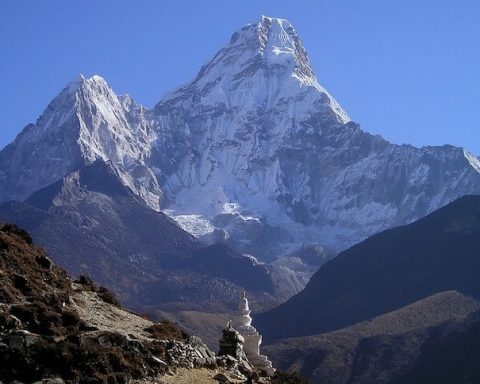 Jutting upwards, it can be seen from miles around in multiple directions. 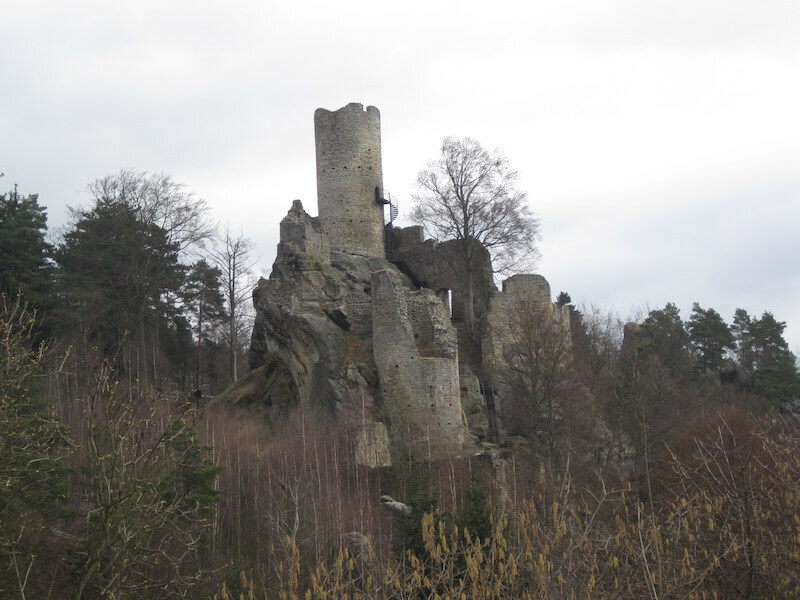 Returning to Turnov by foot on the red trail, there are countless sandstone towers to admire, many of them visible from designated viewing points. Some of the towers even have names such as Dragon’s Tooth and Lighthouse. With mist often to be seen swirling between them, these rock formations are no less spectacular and emotive as the nearby castles. 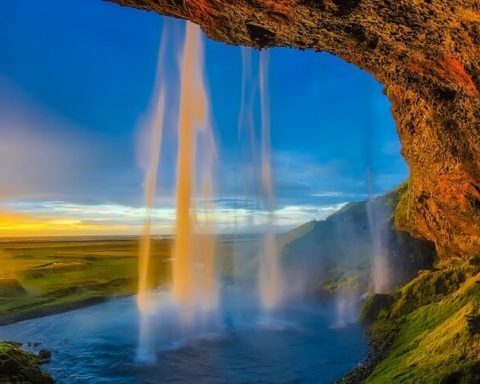 Events that were beginning 100 to 70 million years ago, during the latter part of the Mesozoic geological era, led to the creation of the towers. 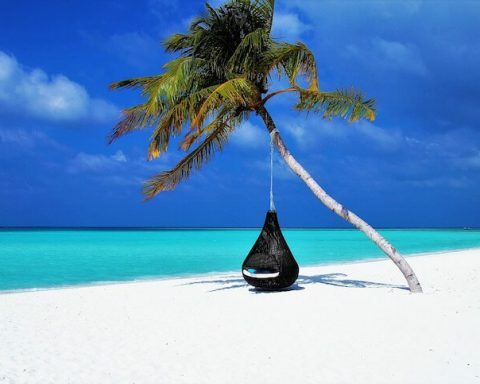 A subtropical sea flooded the region and resulted in sediment deposition, while later tectonic movements caused the waters to fall away and created fractures in the plateau. Erosion helped further to fashion the amazing formations that can be seen today. 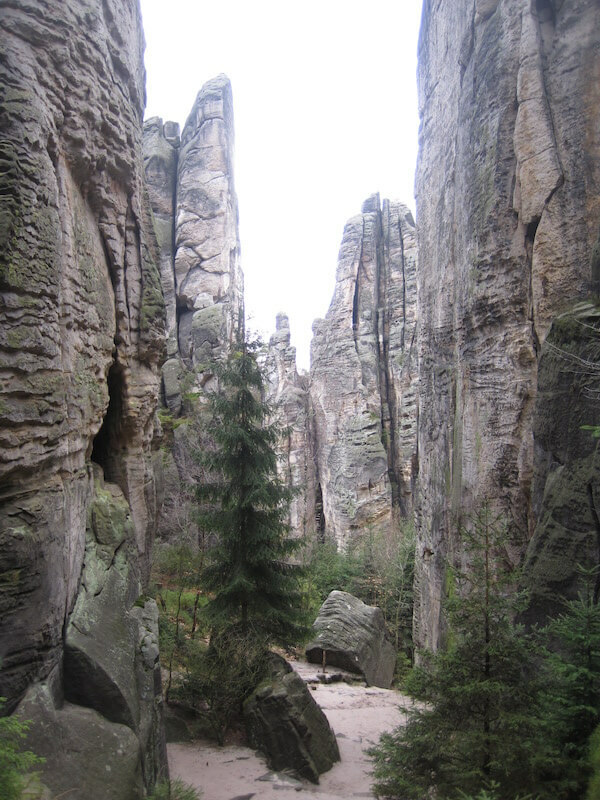 Hikers also make a beeline for the Prachovské skály, which can be reached on a red trail from Jičín. 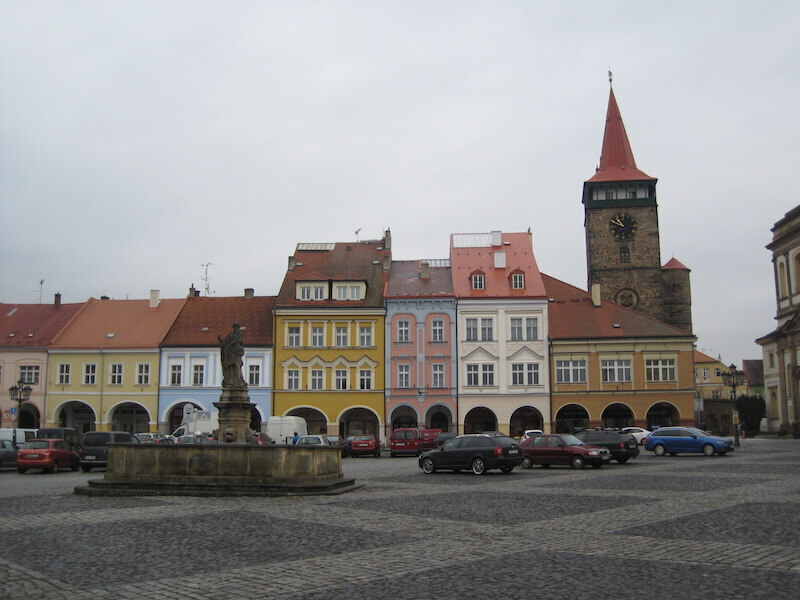 This town, which boasts a beautiful main square, is a pleasant train ride from Turnov. Being well-trodden and requiring an entrance fee to be paid during certain times, Prachovské skály lacks the idyllic feel of much of the Czech countryside. 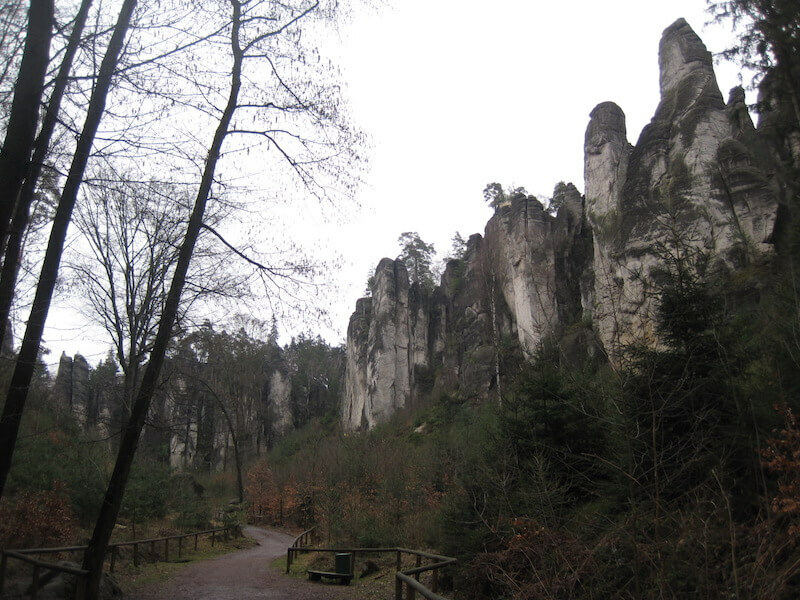 But the rock formations make it worth the trip and, outside of weekends, the area beyond the most eye-catching formations offers quiet woodland walks. 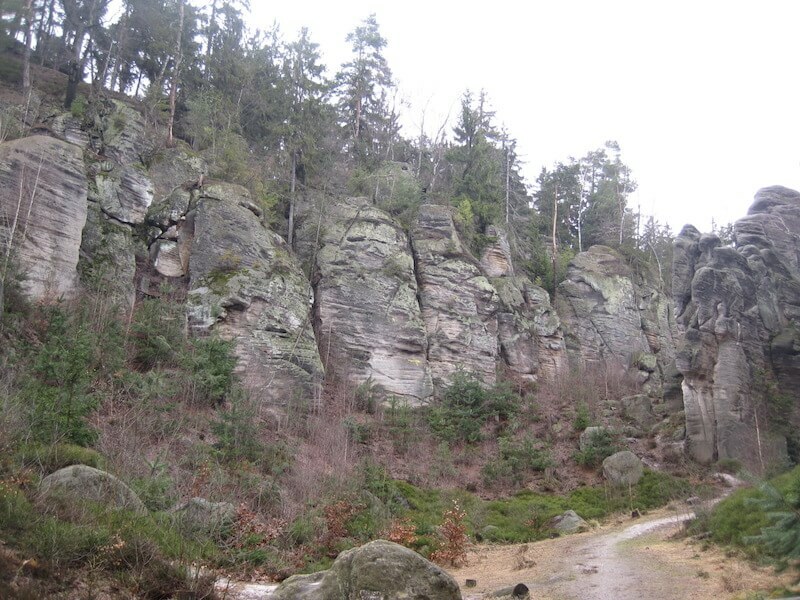 Indeed there is plenty of choice for walks in the Bohemian Paradise area, with more than enough trails for a stay of a week or longer. 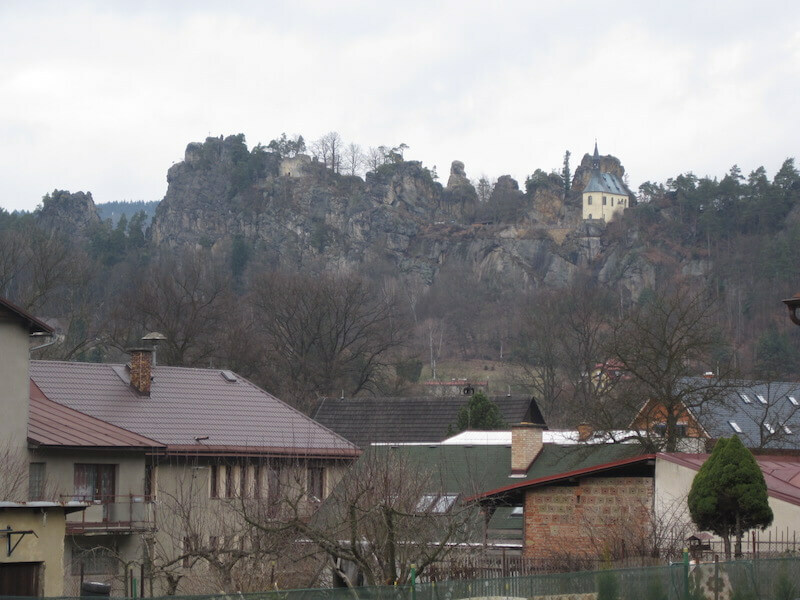 Another fine day out from Turnov involves taking a local train on the 10-minute hop north to the village of Malá Skála, which is home to some impressive ridges of rock. A path snakes through woods behind the rocks ― look out here, as elsewhere, for the abundant birdlife such as nuthatches and treecreepers, as well as memorials and a small church ― before reaching the ruined Frýdštejn Castle, which is dramatically sited overlooking the countryside. A long walk back to Turnov from here on the red-marked path, with Trosky Castle visible again in the distance, leads through pine woods with more rock towers. 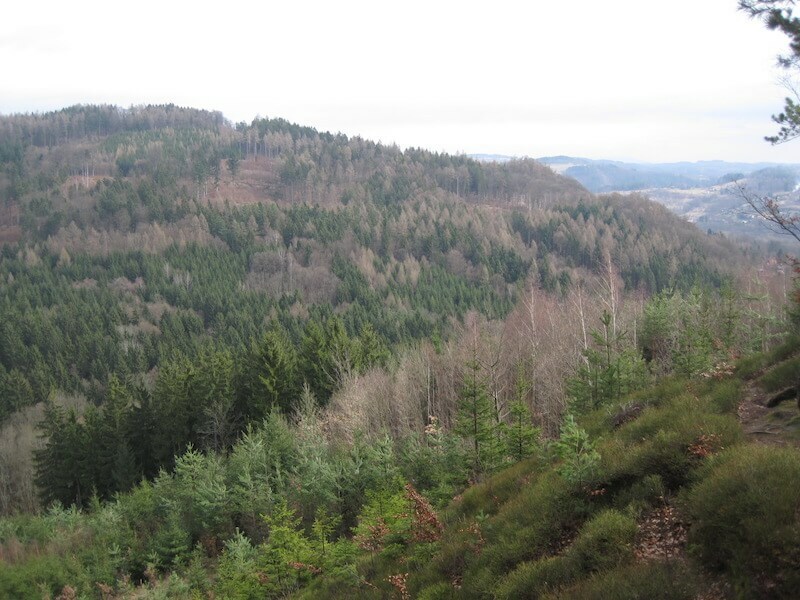 A highlight is climbing on the marked route to the highest point of the Drábovna Plateau, which sits amid the treetops. From here, the hike offers the chance to glimpse woodpeckers and other wildlife in further areas of woodland. The trail later passes alongside Dlask’s farm, a timber building characteristic of the architecture of 200 years ago, and a castle, Hrubý Rohozec. They are attractive sights to round off a long day’s walk and more evidence, were it needed, that the Bohemian Paradise is aptly named.